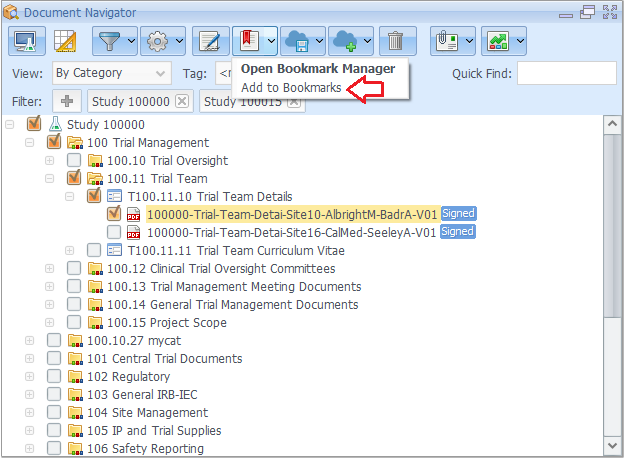 In Document Navigator, select documents from the study. You may select documents later as discussed in step 2 and 4. Go to Bookmark button in Document Navigator and select Add to Bookmarks. 2 The Bookmark Content dialog pops up where you can select documents to be shared (if you have not already done so in step 1) by clicking on Add more documents button. The Browse for documents dialog pops up with active studies where you can select documents for sharing. 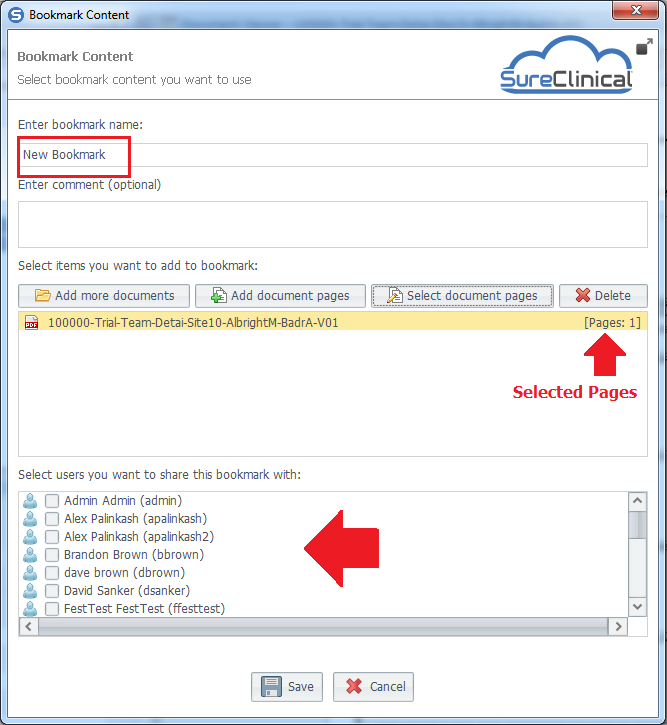 3 To select pages from each document, select the document (in Bookmark Content dialog) then click the button Select Document Pages. The Select Document Pages dialog pops up and shows pages thumbnails on the left and a PDF viewer for the currently selected page on the right. Select pages for sharing by marking the thumbnails and click Save to save your selections. Repeat this step for each document. 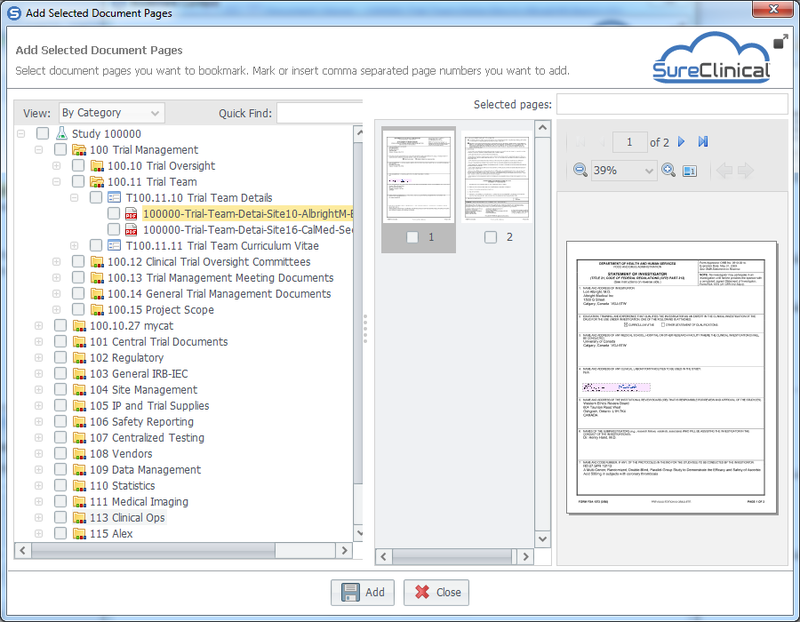 4 You can perform both operations (selection of documents and selection of pages within each document by clicking on Add Document Pages. 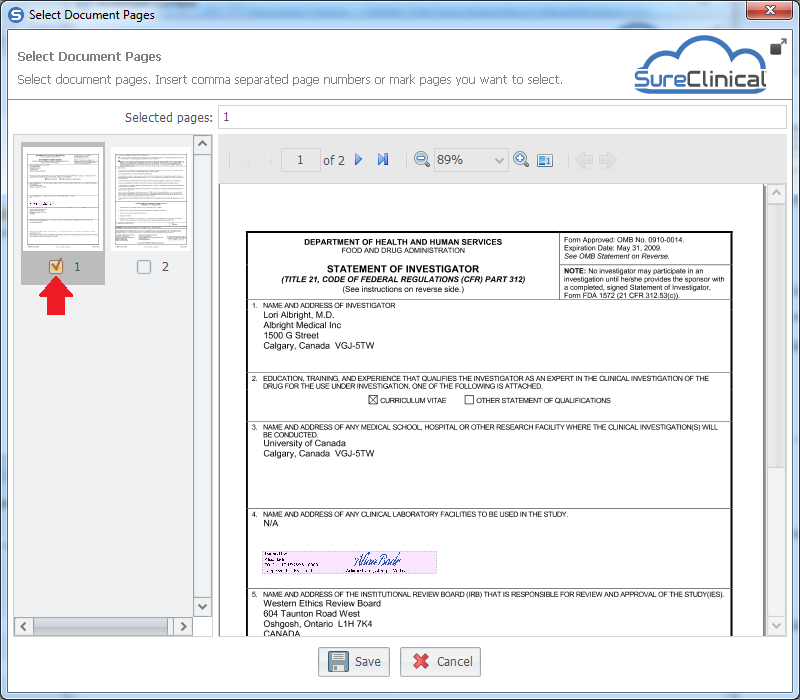 For each document and selected pages click Add button to add to the list of shared documents. You can use the same dialog as many times as you want to add documents and pages. When you finish click Close. 5 Each document added to the list will show selected pages. You may delete any document from the list by clicking the Delete button. The final step is to select users you will share the selected content with then click Save to create the bookmark.